Trees in the River | Just Shooting Memories! 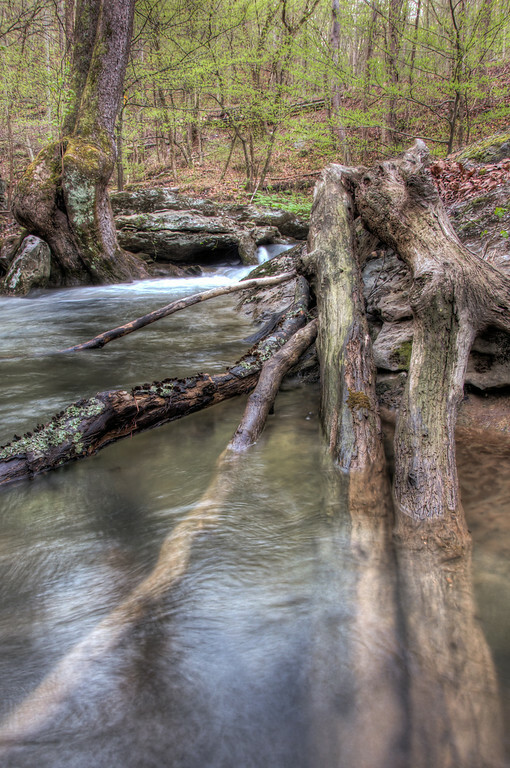 Another shot from my trip to the river / creek this past weekend. There were so many compositions that I left some to go back and take at another time. I was intrigued though by this set of tree trunks partially in the water and partially on a rock. The water was so clear, I would have had trouble telling where it was if it had not been for the air bubbles and reflections.